Calvin Harris is releasing a "surprise" collaboration with Sam Smith on Friday (17.08.18). The Scottish EDM star has announced the pair have teamed up on the new track 'Promises', and he's "very excited" about it. Alongside a picture of the faded pink artwork, which features a lone tree in the middle of sprawling field, the 'One Kiss' hitmaker tweeted: "CALVIN HARRIS // SAM SMITH // very excited about this one !!! @samsmithworld coming Friday (sic)"
And the 'Too Good At Goodbyes' hitmaker retweeted the post, adding: "Surprise!!!! I'm so excited for you all to hear this song. 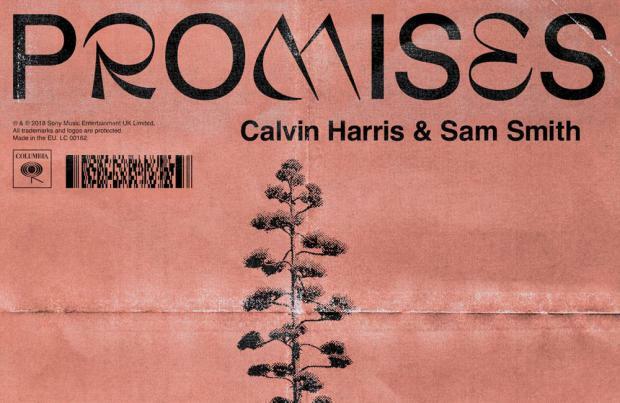 CALVIN HARRIS // SAM SMITH // PROMISES - Coming on Friday. Pre save at http://presave.it/promises @CalvinHarris (sic)"
Sam previously teamed up with EDM duo Disciples on the hit song 'Latch', but confessed he'd never listened to dance music until he work ed with the 'On My Mind' hitmakers - comprised of brothers Howard and Guy Lawrence. The 2012 single was one of the first songs the 'Stay With Me' singer worked with other people on with his long-time renowned producer Jimmy Napes. Speaking to Amazon Music Unlimited as part of their Side by Side playlist series, Sam previously confessed: "I'd never heard of Disclosure. I'd actually never really listened to dance music before I met them. "Me and producer Jimmy [Napes] went to their studio in the countryside. It was this tiny, tiny studio and we all sat in there and they started playing a beat. I just didn't know what to think. "I was used to listening to jazz music, musical theatre and Britney Spears. "So when they started playing this beat I really didn't know what to think. "In my head I just thought I need to sing has hard as I possibly can." Without working with Disclosure, Sam might not have gone on to team up with producer Naughty Boy a year later on 'La La La', which reached number one in 26 countries, as 'Latch' opened the doors to new musical possibilities.